www.seetheholyland.net/herodium/ (accessed June 20, 2012). Richard Crashaw, “Herod’s Suspicions,” in The Book of Jesus , ed. Calvin Miller (New York: Simon and Schuster, 1996), 127. Material on Joseph informed by Scot McKnight, The Jesus Creed: Loving God, Loving Others (Brewster, Massachusetts: Paraclete Press, 2004) 77ff and by a great Christmas sermon by John Ortberg at Menlo Park Presbyterian Church. Joachim Jeremias, Jerusalem in the Time of Jesus (SCM/Fortress Press, 1969), 304-305. Ron Mehl, Love Found A Way , (Portland, OR: Waterbrook Press, 1999), 71. Timothy Keller, King’s Cross , (New York: Dutton, 2011), 39. Brian Blondy, “Archeologists uncover house in Nazareth dating to time of Jesus,” Jerusalem Post , December 22, 2009 (accessed June 6, 2012). John Koessler, “Jesus Disappoints Everyone,” Christianity Today , April 5, 2012. Flavius Josephus, Antiquities 20.9.1 (This and all subsequent citations from Josephus can be found at perseus.uchicago.edu/greek.html). C.S. Lewis, Walter Hooper, Collected Letters: Narnia, Cambridge and Joy 1950–1963 (New York: Harper Collins), 75. “Strata Answers,” Biblical Archaeology Review , Vol. 38, No. 5, September/October 2012, p. 64. Flavius Josephus, War , 3.10. My information on this point comes from John Ortberg, “The World’s Greatest Mission,” a great sermon delivered on September 18, 2005, at Menlo Park Presbyterian Church, available at www.mppc.org. N.T. Wright, “On Earth as in Heaven,” sermon at York Minster, 20 May 2007, accessed at ntwrightpage.com/sermons/Earth_Heaven.htm. Neil MacFarquhar, “Heavy Hand of the Secret Police Impeding Reform in Arab World,” New York Times , November 14, 2005 (accessed June 18, 2012). Gary M. Burge, Jesus, The Middle Eastern Storyteller (Grand Rapids: Zondervan, 2009), 58ff. Bill Hybels, from his introduction to the video curriculum, “Becoming a Contagious Christian” (Grand Rapids: Zondervan). Teresa of Calcutta, “Daily Prayer,” in Eerdman’s Book of Famous Prayers , (Grand Rapids: Eerdmans, 1983), 99. Adapted from Mark Driscoll, “Jesus and Religion” sermon, marshill.com/media/luke/jesus-and-religion#transcript (accessed on June 17, 2012). Quoted in Timothy Keller, The Prodigal God (New York: Dutton, 2008), 46. Keller, King’s Cross , 75. F.F. Bruce, Are The New Testament Documents Reliable? (Intervarsity Press; Downers Grove, Ill, fifth revised edition 1992), 74. Shelly Conhey, “The Second Temple at the Time of Jesus,” www.jewishvirtuallibrary.com, (accessed June 6, 2012). For a riveting account of the Aleppo Codex story, see Matti Friedman, The Aleppo Codex (Chapel Hill, North Carolina: Algonquin Books of Chapel Hill, 2012). 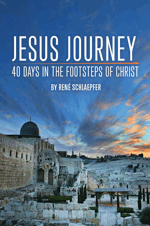 R. Wayne Stacy, Where Jesus Walked (Valley Forge: Judson Press, 2001), 158. Corrie Ten Boom, Each New Day (New York: Revell, 2003) Devotion for May 26. The Works of Flavius Josephus, Vol. 2 , translated by William Whitston (London: Chatto & Windus, 1897), 259. Some commentators place the crowd very conservatively at 300,000–400,000 based on the assumption that Josephus may have been exaggerating, but either way it was a massive group. Imagine how much hummus they must have eaten. D. A. Carson, The Gospel According to John (Grand Rapids: Eerdmans, 1991), 269. I’ve adapted these points from Mark Driscoll’s sermon, “Jesus and the Temple,” www.marshill.com (accessed June 11, 2012). Josephus, Jewish Wars 5.1.5; 36. C.S. Lewis, The Weight of Glory and Other Essays (New York: Simon and Shuster, 1980), 36–37. Philo, On the Embassy of Gaius , 38.299-305. Josephus, Jewish Wars , 5.207. Eusebius, The Life of Constantine , 3.28.
www.pbs.org/empires/romans/empire/women.html (accessed June 18, 2012). John Updike, “Seven Stanzas at Easter,” in Miller, 471. Anne Lamott, Traveling Mercies: Some Thoughts on Faith (New York: Anchor Books, 1999), 49–51. C. S. Lewis, Surprised By Joy (Orlando: Houghton Mifflin Harcourt, 1955), 221. Andrea Monda, “The Conversion Story of C. S. Lewis” www.ewtn.com/library/SPIRIT/cslewconv.HTM (accessed June 18, 2012). Transcript, “Bob Abernethy’s Interview with Dr. Francis Collins,” PBS Religion and Ethics Newsweekly , www.pbs.org/wnet/religionandethics/transcripts/collins.html (accessed June 18, 2012). www.mtv.com/news/articles/1497529/brian-head-welch-talks-california-church.jhtml (accessed June 18, 2012). From Sheldon Vanauken, A Severe Mercy , Quoted in Francis Collins, The Language of God (New York: Simon and Shuster, 2006), 31. Vance Havner, Hearts Afire: Light on Successful Soul Winning (Westwood, NJ: Fleming H. Revell, 1952), 76. “Ancient Israelite Cuisine,” Wikipedia. en.wikipedia.org/wiki/Ancient_Israelite_cuisine (accessed August 17, 2012).